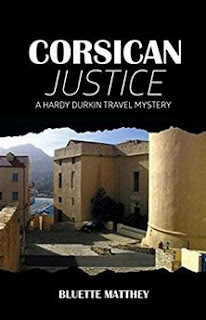 This is one for Italophile fans of the vicarious-vacation sub-genre of mystery books. 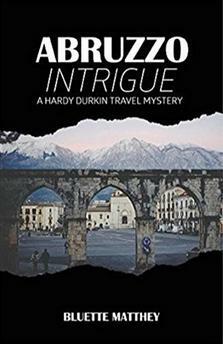 Readers travel to Italy's central-eastern Abruzzo region and visit many of the top sights along with a hiking tour caught up in the crime capers of various persons in Abruzzo Intrigue. 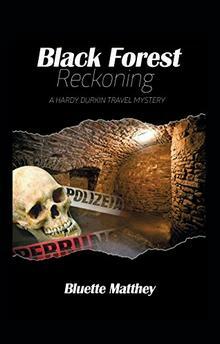 Hardy Durkin is the fictional hunky tour guide at the center of the book, and the Hardy Durkin Travel Mystery Series. ...folks who didn't mind a healthy trek during the day, but expected good food and their creature comforts at day's end. Abruzzo Intrigue is for readers who enjoy literate writing, lots of Italian tourist information about the areas the characters are visiting, some digressions from the plot for interesting information, and a variety of characters thrown together in new surroundings. The assortment of characters with their individual quirks and needs kept me interested in the story more than perhaps even the beautiful descriptions of Abruzzo. Those descriptions are sure to send the reader to the Internet for images of the places described. I enjoyed the author's mix of 3rd person omniscient writing and 3rd person limited writing. 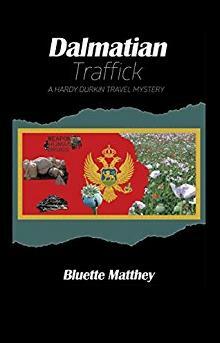 The travel information sometimes slowed the story too much for me to really get into the mystery part of the story, but it will certainly appeal to vicarious-vacation lovers. There were things I didn't like too, however, like the spoilers in the book's description and Prologue, both of which I'm sorry I read before starting the book. Some of the characters' views were not to my liking either, as was the seeming linking of being overweight with stupidity with one of the characters. But all in all, Abruzzo Intrigue is quality, old-fashioned, time-honored storytelling. The author winds out various story threads, then weaves them together for the reader into the final tapestry that is the novel. At the end of the book, you'll feel like you've visited Abruzzo right along with the characters! Abruzzo Intrigue, finds Hardy leading a hiking tour in Italy's high-rural Abruzzo region. Dubbed the 'green heart' of Europe, Abruzzo offers the hikers a heady mix of spectacular scenery, medieval hill towns, spiritual history, and fresh, pure regional gastronomy. Some of the cast of characters are who they seem to be, but most aren't. One member of the group, a grieving widower, plans to steal one of the Vatican's most precious religious relics, The First Eucharist Miracle, from the Church of San Francesco in Lanciano, and embarks on a dangerous odyssey of the soul that ends in redemption. Along the way, Hardy crosses paths with an Interpol agent, elements of the Italian mafia, an assassin and, indirectly, an Albanian drug lord. The book is a collision of values and traditions while hiking through the oft-overlooked beauty of ancient Abruzzo.